Bridal apron perfect for keeping your dress clean whilst getting ready for the big day. Bridal apron perfect for keeping your dress clean whilst getting ready for the big day. 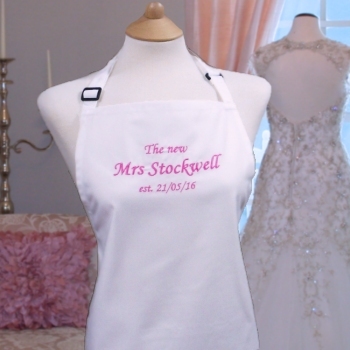 This apron is also great for the Bride to Be hen party! This is a lovely gift that certainly comes in handy in the kitchen too! We embroider a name, nickname or little message of your choice on the front of the apron in a thread colour and font style of your choice. You can also choose the additional option of adding a small motif to be embroidered along with the text. The white chefs apron is made from a sturdy 65% polyester and 35% cotton blend. It has an adjustable neck strap and long waist ties. Machine washable and tumble dry on low. Adult apron measures 72 x 86cm. 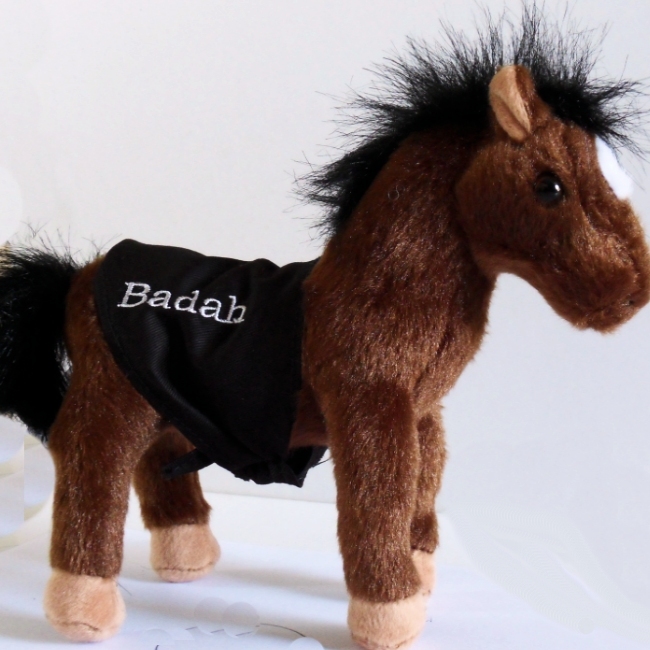 Please allow at least 48 hours for your personalised gift to be made to order.